#BestOf2017: LEAPS That Completely Altered Show Storylines!These were the notable leaps of this year according to us. LEAPS have a crucial role to play in Indian television shows. Be it the story hitting a dead end or dipping TRPs, introducing dramatic leaps has become a tried and tested formula that the makers swear by. While the list of leaps was really really lengthy last time, we have managed to sort out 6 shows that showcased significant leaps that were instrumental in giving the shows a fresh touch and in providing the viewers with the much needed drama. Colors' Udaan recently introduced their second leap - that of 5 years, post which Chakor's (Meera Deosthale) life completely turns around. Chakor, who was sentenced to 5 years of imprisonment for killing Kamal Narayan, walked out of the jail only to find out that Azadganj has turned into an ever worse place than it was during Kamal Narayan's reign. Now Imli (Vidhi Pandya) is the village head and she has gotten back the Bandhua culture. Also, Suraj (Vijayendra Kumeria) who has lost his memory is now Imli's bandhua and Chakor has the task of riding her village of the Bandhua culture yet again, in front of her. This was one such show that was enjoyed by all age groups. The story of a mother Ishwari (Supriya Pilgaonkar) who single handedly brings up her kids and is extremely possessive about her son Dev (Shaheer Sheikh), was shot on a very practical and realistic scale, which was appreciated by all the viewers. Ishwari is not able to process the fact that her son is in love and is all set to get married to Sonakshi (Erica Fernandes) and after many misunderstandings, the couple parts ways after marriage. 7 years later Dev and Sonakshi meet again and eventually Dev discovers that he has a 6 year old daughter with Sonakshi named Suhana. After much problems the couple patch up and have another baby Shubh. The show then went on a break only to return on popular fan demand. The storyline then took a 6 months leap and focused on how Dev and Sonakshi swap roles - Dev handles the kids at home and Sonakshi resumes work and the couple triumphs in all challenges. Sony TV's thriller Beyhadh even though premiered last year, it showcased 3 key leaps this year. The first leap of Beyhadh was of 3 years, post which Maya's (Jennifer Winget) psychotic side was revealed to hubby Arjun (Kushal Tandon). The second leap that took place was of 6 months wherein Maya gets herself admitted to a mental hospital to win Arjun's trust that she is trying to get treated for her mental condition, which she is actually not. Then the third leap of the show was a major and final one i.e a 5 years leap wherein Maya is in jail, Arjun and Saanjh (Aneri Vajani) are married and Arjun becomes a successful businessman. Maya runs away from jail and in a final strike to destroy Arjun and Saanjh, ends up dying in peace in Arjun's arms. Sony TV's most controversial show Pehredaar Piya Ki was abruptly taken off air for the Rajput Community was left offended with the show's Rajasthani backdrop and how it showcased a marriage between a 9 year old boy and an 18 year old girl. 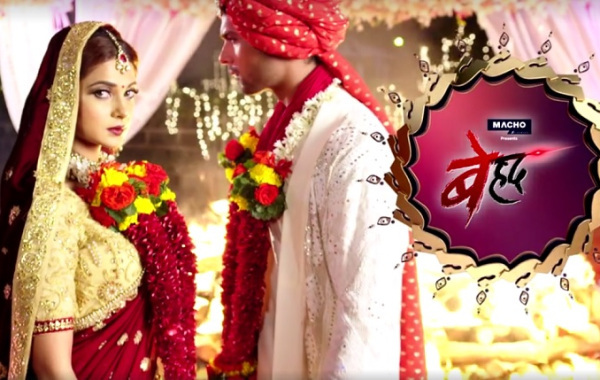 The makers then returned with a second season which started with a leap of 12 years wherein Diya (Tejasswi Prakash Wayangankar) is in pursuit of Ratan's enemies to vanquish them and also waiting for a now grown up Ratan (Rohit Suchanti) to return to India and take over his family business. Naamkarann on Star Plus was one of celebrated bollywood filmmaker Mahesh Bhatt's projects. The show focused on the story of Avni (Arsheen Namdaar), the illegitimate child of Ayesha (Barkha Bisht Sengupta) and Ashish (Viraf Phiroz Patel). Ashish's mother Dayawanti (Reema Lagoo and later on Ragini Shah) refuses to accept Avni as her grandchild and eventually gets Ayesha killed and also tries to kill Avni, which leads to hatred for Dayavanti in Avni's heart. The show then takes a 15 year leap where Avni is seen as a grown up lady, who under a fake identity, enters Dayavanti Mehta's house to destroy it inside out. Woh Apna Sa was an unconventional family drama where the bahu Nisha (initially Ridhi Dogra and now Manasi Salvi) is the vamp and not the damsel in distress. Aditya (Ssudeep Sahir) is stuck with a nefarious wife who bullies and tortures him and his family until he finds solace in his employee Jhanvi's (Disha Parmar) company. The duo realizes their growing closeness with each other while countering Nisha's vicious moves, but Nisha manages to kill both Aditya and Jhanvi. Both of them are reborn as Arjun and Jia after 20 years and are hell bent on taking revenge from Nisha and Samar after they realise the truth. Well, these were the top shows that delivered to the audience, endless drama and also changed the phase of the show.